C-SPAN Classroom is a free membership service for social studies teachers. Our mission is to enhance the teaching of social studies through C-SPAN's primary source programming and websites. 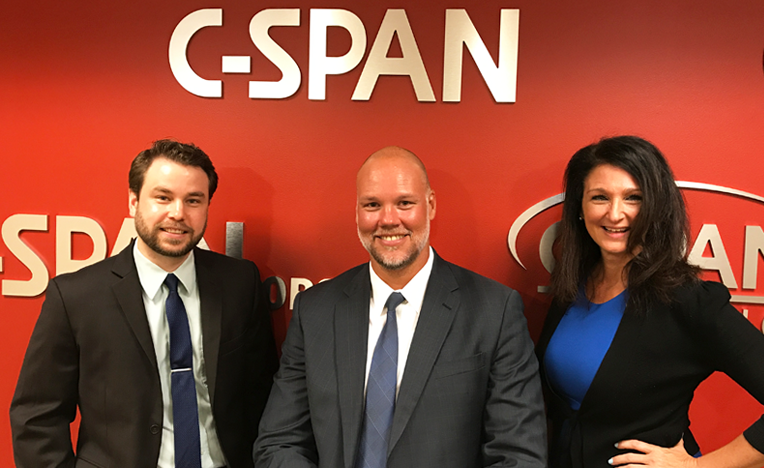 If you have not yet signed up, we invite you to become a member of C-SPAN Classroom. To better serve you, our site is password-protected, yet remains free of charge. Membership gives educators access to their own library to store C-SPAN Classroom video clips, supplementary materials such as lesson plans and handouts, and special offers. We are always interested in your feedback. New content is added frequently throughout the school year, making it even easier for social studies teachers to bring C-SPAN into their classrooms. Please feel free to send comments about the web site and C-SPAN Classroom to educate@c-span.org. We are looking forward to working with you!